If I haven’t mentioned it before now, I’m currently in graduate school working on my M.A. in English Literature. Of course my focus is on the Brits. This semester I’m taking a class on Later Medieval Dream Visions. I was incredibly excited about this class and so far I have not been disappointed! If you’re unfamiliar with dream visions, they were (and are) a literary style where dreams are recounted for the benefit of the reader. People believed that these dream visions were sent to them from the divine and had important meaning that needed to be shared. Generally speaking they deal with quests for spiritual salvation or with unrequited love. Usually a dream vision starts with the narrator telling about how they fell asleep. Once asleep, another important aspect of the dream vision is when the dreamer “wakes up” in the dream. The story of the dream itself is usually soaked in allegory. The dreamer will find a guide to walk them through the dream and help explain the message of the dream. The vision ends with the dreamer waking and promising to write the story down, hence the poem that is being read. Before Christianity conquered Europe, the Celtic bards would sleep near a stream, believing that the spirit of the stream would give them a song or a vision of a song in their sleep. Some of the most famous dream visions are actually Welsh. The tradition of the dream vision is hundreds of years old and a highly favored medieval form of poetry. Even so the clouds of my melancholy were broken up. I saw the clear sky, and regained the power to recognise the face of my physician. Accordingly, when I had lifted my eyes and fixed my gaze upon her, I beheld my nurse, Philosophy, whose halls I had frequented from my youth up. ‘Could I desert thee, child,’ said she, ‘and not lighten the burden which thou hast taken upon thee through the hatred of my name, by sharing this trouble? Even forgetting that it were not lawful for Philosophy to leave companionless the way of the innocent, should I, thinkest thou, fear to incur reproach, or shrink from it, as though some strange new thing had befallen? Thinkest thou that now, for the first time in an evil age, Wisdom hath been assailed by peril? Did I not often in days of old, before my servant Plato lived, wage stern warfare with the rashness of folly? In his lifetime, too, Socrates, his master, won with my aid the victory of an unjust death. And when, one after the other, the Epicurean herd, the Stoic, and the rest, each of them as far as in them lay, went about to seize the heritage he left, and were dragging me off protesting and resisting, as their booty, they tore in pieces the garment which I had woven with my own hands, and, clutching the torn pieces, went off, believing that the whole of me had passed into their possession. And some of them, because some traces of my vesture were seen upon them, were destroyed through the mistake of the lewd multitude, who falsely deemed them to be my disciples. 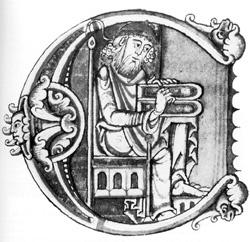 Boethius had a huge influence on many medieval writers. Bede was another famous dream visionary, as was Marie de France, Julian of Norwich, Margery Kempe and Dante (The Divine Comedy is one huge dream vision). Of course, one of the most famous was Chaucer. Chaucer’s dream visions aren’t as well known as the Canterbury Tales, but I greatly prefer them. “The Book of the Duchess” is one of my favorites. 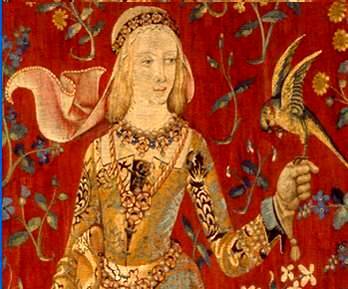 Chaucer wrote “The Book of the Duchess” for John Gaunt to memorialize Gaunt’s wife Blanche, who had died of the plague. While Chaucer wrote during the height of the courtly love tradition, it seems from the poem that John Gaunt might have truly loved his wife. This is one of Chaucer’s earliest works and it has been generally overlooked because of Chaucer’s youth when he wrote it. Chaucer was also a religious skeptic and one of the things that is extremely notable in the poem is that the Dreamer does not console the Knight he meets in his dream, who is mourning the death of Lady White, that she is safe in Heaven with God. The poem actually opens with a myth and an invocation to Juno and Morpheus. The poem begins with the narrator recounting his insomnia of 8 long years. He decides to pick up a book of myths and reads the tale of Ceyx and Alcyone. Ceyx was a king who went on a journey, only to drown at sea. His wife, Alcyone, not knowing what happened to her husband, sent messengers everywhere searching for him. When no one could find out anything, she begged Juno to send her a dream vision of her husband’s fate. Juno does more than that. Juno sends for Morpheus to retrieve Ceyx’s body from the bottom of the ocean and then speak through him to his wife, letting her know that he was gone. The poet is inspired by the story and calls upon Juno and Morpheus to help him sleep. I will return you to my original subject, the reason why I have told this story of Alcyone and Ceyx the king, for I dare say this much: I would have been entirely buried and dead, because of lack of sleep, if I had not read and heeded this tale. And I will tell you why: for I could not, for comfort or suffering, sleep before I had read this tale of this drowned Ceyx the king and of the gods of sleeping. When I had read this tale well and looked over every bit of, it seemed amazing to me that it would be so, for I had never heard mention before then of any gods that could make people sleep, nor to wake, for I had known only one god. I had hardly said that word, exactly as I have told it to you, that suddenly, I know not how, such a desire overtook me to sleep that I fell asleep right on my book, and then I dreamed so inwardly sweet a dream, so wonderful a dream that I believe that no one has ever had the insight to interpret my dream correctly. In the vision, the Narrator, now the Dreamer, “wakes up” to hear birds singing. He hears the sounds of a hunt being called and rides out (on a horse that has apparently magically appeared in the chamber he has awoken in) to join the hunt. While on the hunt, he comes across a Black Knight composing lyrics about the death of a lady. When the Dreamer asks the Knight about the cause of his lament, the Knight replies that he has played a game of chess with Lady Fortuna and lost. The Dreamer begs the Knight not to be upset about the loss of a game of chess. The Knight goes on to explain his life and his service to Love and how he came to meet the fair Lady White. The Dreamer is somewhat obtuse and doesn’t understand that the chess game is a metaphor and that the Lady White is an actual lady. The Dreamer begs the Knight to continue with his tale. The Knight tells of how he fell in love and courted White, until at last, he finally won her and lived happily for many years. The Dreamer still doesn’t understand and asks the Knight where the Lady White is. The Knight finally replies that she is dead. The Knight rides off to a castle on a nearby hill and the poet awakes with his book in hand, promising that he will write the dream down. And with that word they quickly began to sound the hunting signal to head home; all the hart hunting was done for that time. This was my dream; now it is done. But in the end, I just enjoy the poem. 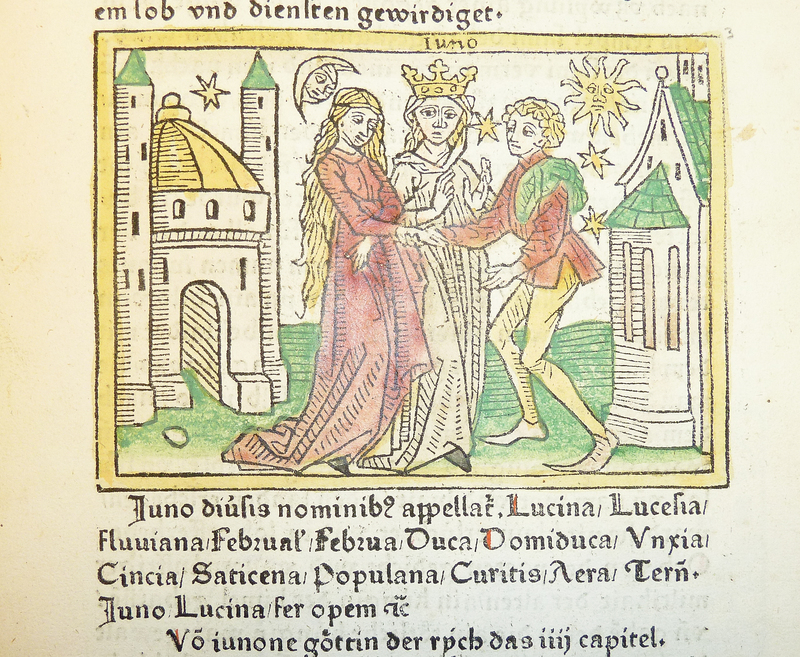 While John of Gaunt mourned for Blanche, he did remarry. Queen Elizabeth the Second is a descendant. But Blanche was forever immortalized by Chaucer in this very fitting tribute. If you would like to read the full poem, you can find the translation here. If you’re brave, the poem in its original Middle English can be found here. Also, did you know that Geoffrey Chaucer Hath a Blog? I certainly didn’t!